Find out why RealShoots is the best pet photography course available! The RealShoots Complete Course is a series of 10 episodes where I walk you through a real-life photo session with clients and their dogs. You'll watch over my shoulder as I shoot a full-length outdoor session, then sit with me as I edit the photos. I explain each step of the process and give you a unique insight into how I deal with challenges to create effortlessly gorgeous images every single time. This high quality training takes you step by step through a range of different situations and locations giving you practical instruction on what to do in any scenario, ways to work with all types of dog personalities and even how to handle those pesky humans! Comprehensive, easy to follow and stacks of fun, this course will help you bring your best A-game to every session. Giving you the tools and knowledge to create images like the ones below! Best course to up your pet photography game! Do you want to get REAL serious about your passion for dog photography? Planning and running successful outdoor shoots. Working smoothly with different dog personalities. Handling behavioural issues and varying levels of obedience with ease. Artfully editing and professionally post-processing any image. Capturing magical images that leave clients elated and ugly crying. 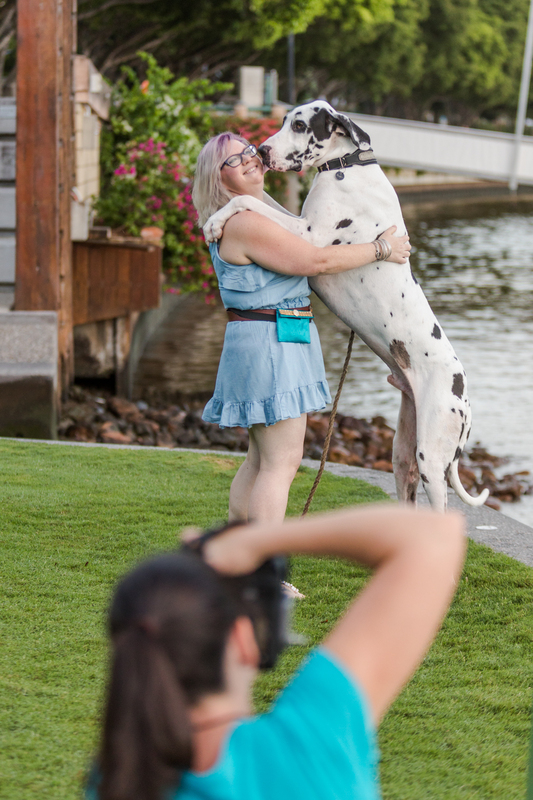 If that’s the type of pet photography you want to be known for, this is the training for you. Get a handle on your hobby. Turn your passion into profits. In RealShoots, you’ll learn all the tips, tricks and insider secrets of a real life professional photographer on a real outdoor shoot. Go at your own pace. Watch the lessons anytime. Learn from one of the best in the biz, from the comfort of your own home. Binge on all the episodes or space them out. No deadlines. No pressure. No fluff, no filler, just a ton of value! A fun quiz to test your knowledge and keep you on your toes! Best of all, you get to see amazing images (like the ones below) being planned, shot and crafted!